I'm a normal teenager. I have a normal teenage life with normal teenage problems. The summer is my heaven. I live with my mom during the summer months. We stay in her tiny condo in Jacksonville, Florida. My parents split up when I was little. I'm not sure why. My mom never talks about it. Whatever it was, it was bad enough to make my mom pack me up in the middle of the night when I was four years old and run to my Gran's condo. My mom got the condo after Gran died. From that time on all I had known my entire life was beach life. Until four years ago. Until my uncle found me. Mary - I'm a Texas-born girl living in Murfreesboro TN. I love to do anything artistic (write, draw, dance and of course read). I love traveling and going out, but mostly I'm a homebody and I just enjoy hanging out with my friends. 2) A lot of people think they can write a novel, just because they’ve read a lot of novels in a particular genre and figure, ‘how hard could it be?’ How hard was it for you to write “The Awakening of Leeowyn Blake”? Mary - It was honestly a lot easier than I anticipated. I had just gone through a rough patch in my life and I've always used writing as a way to escape, and before I knew it the story started writing itself. I hadn't even set out to write a novel, but the characters came to life and basically told the story themselves. 3) What in your background prepared you to write a novel? 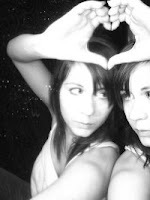 Mary - Both of my parents are professional writers, so for as long as I can remember it’s what I've always wanted to do. 4) Leeowyn Blake feels like a real teenaged girl. Did you pattern her after any particular person; perhaps after yourself? Mary - A lot of her quirks and mannerisms are things I do myself, but that's not to say I based her after me. She's a lot more outspoken than I am, and she has way more courage. She's her own person. 5) The Awakening of Leeowyn Blake is obviously a young adult fantasy novel, but it also incorporates elements of romance, horror, mythology and humor. Did you set out to create such a conglomeration of elements, or did it all just kind of happen? Mary - I knew I didn't want to write a run of the mill YA fantasy novel, but beyond that I didn't really think past that. I love everything creepy and dark, but I also love humor and romance. With so many different characters it’s easy to have them each bring their own elements to the story. 6) What was the hardest part of writing the novel? Mary - Editing. Editing. Editing. Editing. Ugh. 7) Do you have any secret rituals that help you get into the flow of the story? A bottomless cup of coffee or music that you listen to that puts you in the mood to write? Mary - I definitely had to have music. I would be driving to work or to the store when a song would come on the radio and suddenly a whole new scene would pop into my head. I can listen to a song from Muse, or Radiohead or even Ke$ha and be like, "I wrote a scene to this song." I'm also a little bit addicted to Red Bull, so it became part of my ritual. 8) There’s got to be a sequel in the works, right? Mary - Yes, there finally is. I've been writing, and rewriting, and deleting, and rewriting some more, but I can finally say that yes, a sequel is on the way. Mary Parker is an award winning writer and speaker. Born into a theatrical family, she is comfortable on the stage. While still in elementary school she appeared in a regional stage production of The Best Christmas Pageant Ever in the pivotal role of Imogene Herdman. While still in high school she was cast in the iconic role of Mary Warren in The Crucible, and she created the role of the American socialite, Hetty Merton in the world premier stage production of Oscar Wilde’s Dorian Gray. Mary tried college, but after experimenting with degree programs in art, English, broadcast media and marketing – and ending up bored out of her skull – she determined college was not her calling. At least not for the foreseeable future. Waiting tables for the rest of her life didn’t appeal to her either. A story-teller at heart, Mary turned her attention to her first love – books. 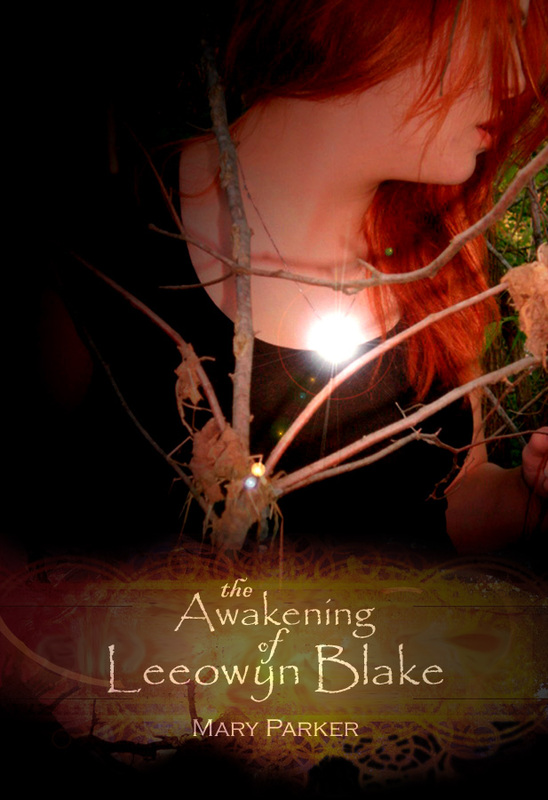 The result is her critically-acclaimed debut novel, The Awakening of Leeowyn Blake. I desperately want to know what drive Leeowyn Blake & her Mother out into the night & what happens once the Uncle turns up. A great interview thank you. After reading the author interview i want to see how the book combines all aspects of YA dark,fantasy,romance etc.. When characters write the book thats when you know it should get an award. Authors like this are far and few between. Really want to see what happens! Sounds like a really good mystery, and I'm super excited and anxious to see. That's a cliffhanger summary!